Congratulations! You’ve had a baby! You’re ready to get moving, but you’re not sure whether your pelvic floor, abdominals and overall core are ready for it. Join pelvic physiotherapist, Nabila Jutha, as you learn what would be safe and appropriate for your postpartum recovery. You’ll leave this class with tips and exercises to help you better understand your pelvic floor and how to return to exercise optimally. 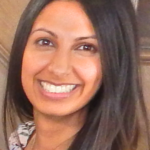 Nabila is passionate about pelvic health and helping women feeling their very best. 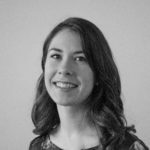 She uses a variety of treatment modalities, including manual therapy, functional taping techniques, exercise prescription, and acupuncture. She aims to help her clients manage and overcome any difficulties that pregnancy and labour may present in women’s health. When Nabila is not in the clinic, she enjoys staying active through ball hockey, soccer and yoga.